What does Cher think of Cher? Well there are certain people who need no introduction when they enter a room and one of them is Cher. We have listened to and danced to her music for decades. 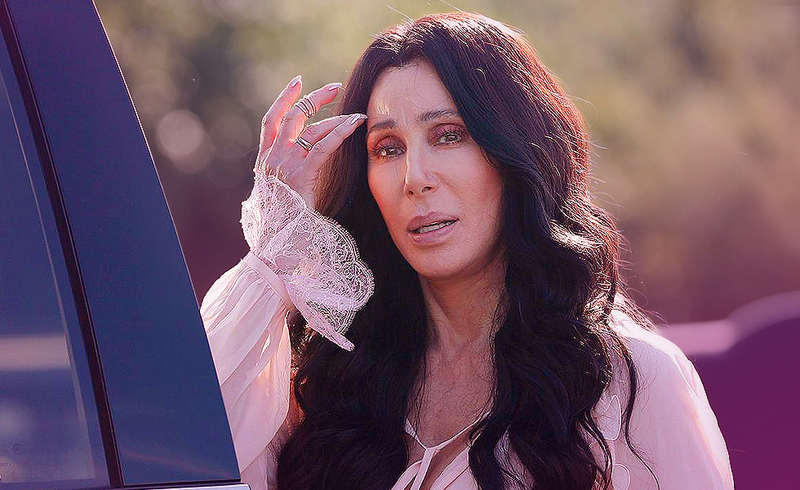 We’ve had our hearts broken to the words of her songs, and had them mended again by the powerful lyrics, but Cher isn’t a big fan of Cher. Well, I suppose it only goes to show her human side. Not a lot of us really like ourselves. This is why we constantly try to reinvent ourselves. Well, Cher, we know you are amazing and that’s all you have to worry about. There are very few people I would love to share a cup of tea and a chat with because I like real people not fake, but Cher you would be right up there. You say you have a problem with getting older. I hear you, no, actually we all hear you, but you are doing it with such style that we hardly notice. Come on Cher you still look amazing and if you ever need anyone to tell you that we are all here. You came to this planet with a special purpose. To fill the lives of people with a little sunlight on their darkest days through your music and you are still doing that today. We love you for it. Let’s throw out a few cards for you Cher and see what they are saying about you. This is your creativity, it is unique and designed especially for you. It was something you were born with, but you needed to go through a lot of experiences for it to come out and be developed into what it could potentially become. This is still happening. When you say you are afraid of age, your brain is not ageing. Neither is your soul. There is a youth there that is eternal. No this does not mean you are a fool. This is the card of those who take a risk. In some cases, it works and in some cases, it doesn’t which is which is very much up to the powers that be. You have been guided through many of your achievements. There is a higher power who has put you here to be a light to those in need. Your voice is your energy. It resonates strength when people are low, through the gift of media, that energy has travelled all over the world. This Cher is us. The people out here who have listened to you. The people out here all feel like they know you. That’s because you have been in their homes for years. They have switched on the radio and you have been heard in every room of the house. To them, you are a family Member. You belong and those of us out here who are growing older with you are very grateful. Stressed out mothers danced their babies to sleep with you. Mechanics in garages repaired engines while humming along with you. Teenage girls wanted to call you for advice on their first crush, and all because of the gift you have delivered to the world. If you ever doubt a reason to love Cher, know that we do and are very grateful. So the next time you feel low. Look into the mirror, and see the wonderful lady who was sent here on a mission to help us smile. Thank you for that. Previous Article﻿What happened Selma Blair that shook her to the core?Next ArticleWhat happened when divorcees Sarah Jessica Parker and Robert Downey Jnr reconnected?